All of the CBD in our products comes from our USDA-certified Organic farm in Kentucky. We process our hemp in an FDA-approved facility. To use, rub a small amount on your skin until it is fully absorbed. Oz. Choose an option25 mg - 2 oz.50 mg - 4 oz. 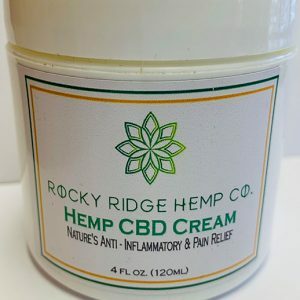 Are you looking for a great CBD salve to put on scrapes and cuts? 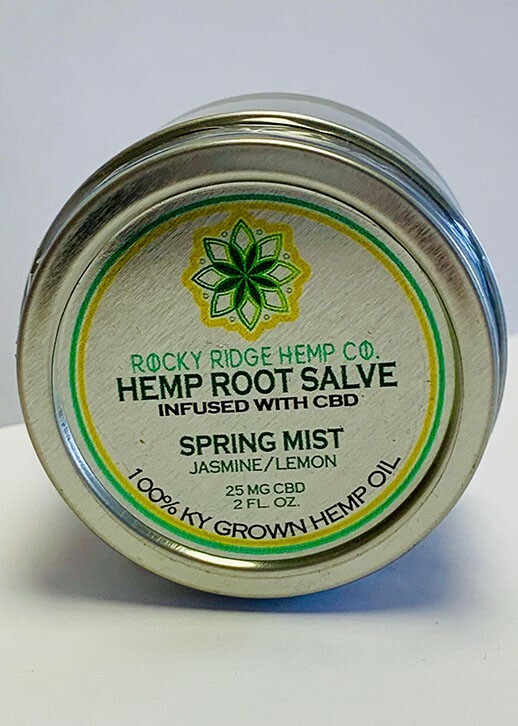 The Rocky Ridge Hemp Co. hemp root salve is a great option because it is made from some of the highest-quality ingredients available anywhere. 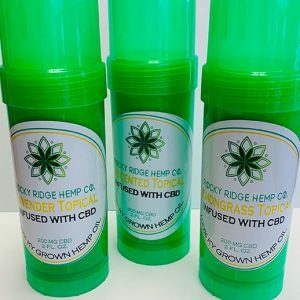 Find many different CBD products, including edibles, hemp drops, and e-juice, in our store today. These salves are available in 2 and 4 ounce tins, with 25mg or 50mg of CBD. Choose from the following scents: Original, Autumn Harvest, Spring Mist. 25 mg – 2 oz., 50 mg – 4 oz.